Russia feels like the final frontier of a lot of things, with the country&apos;s location at the crossroads between Eastern and Western cultures. Sneakers have started to become a big thing in the world&apos;s largest nation, too. Collaborations have sprouted from some of the country&apos;s homegrown brands, and brands such as adidas have built a stronghold in Russia. The influence, however, might be coming from the top down, as the country&apos;s Prime Minister and former President, Dmitry Medvedev, could possibly be a sneaker guy. 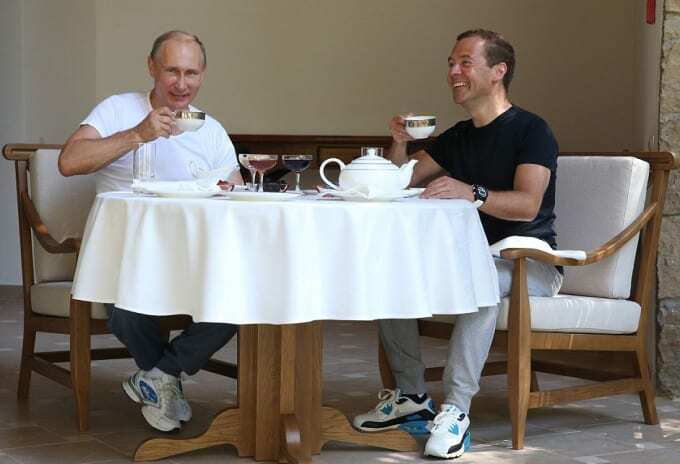 During a recent hangout session with Russian President Vladimir Putin, Medvedev is seen wearing "Laser Blue" Nike Air Max 90s, as he got in a workout and had a tea break. In a thread on Reddit, it was also discovered that Medvedev has worn a pair of the Raf Simons x adidas Ozweegos, which, for what it&apos;s worth, are the best sneakers from the designer&apos;s collection with the athletic brand. Medvedev&apos;s look, with a clean pair of runners and slim sweatpants, is typical of many European sneaker folks and the continent&apos;s overall style in general. 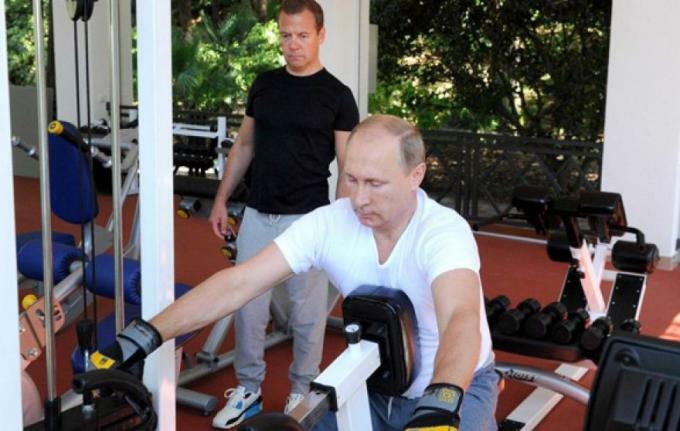 Who knew, though, that the Kremlin had a taste in trainers?